From June 4-8 we met with a group of senior policymakers and advocates from countries, multi-lateral and bi-lateral organizations and foundations for a rich set of discussions around the Commission’s findings. Set at the Rockefeller Foundation Center in beautiful Bellagio, Italy, we previewed the key highlights of the report and discussed how to move from evidence to action on several themes. WHO Director General Dr. Tedros sent a video to open the meeting and express support for this agenda, which you can view here. Even as snow shut down airports and cancelled flights from the US to the Netherlands, HQSS Commissioners, secretariat, and national commission representatives made their way to Johannesburg, SA for the second meeting of the HQSS Commission. 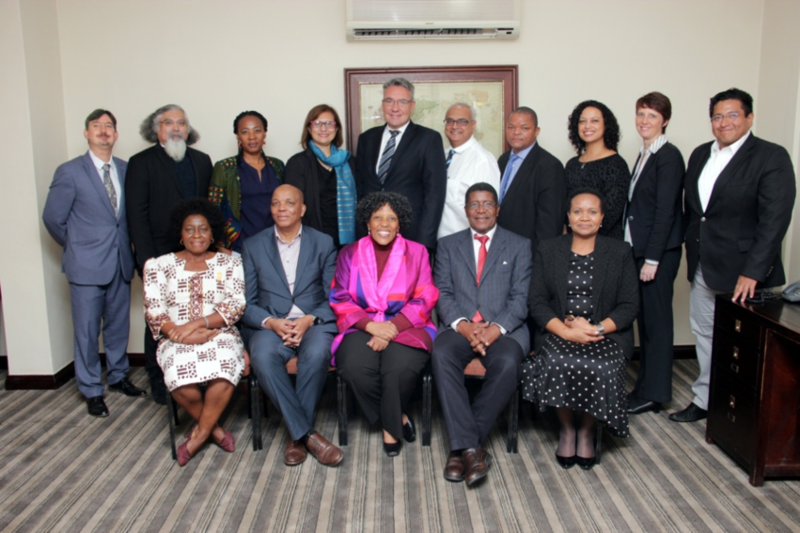 Co-hosted by the Department of Health of South Africa, this meeting was an opportunity to share the key challenges facing health systems in the definition, measurement, and improvement of quality. The first two days of meetings were an opportunity for national commissions to share their countries’ successes and challenges in measuring and improving quality. Representatives from nine countries presented their work: Argentina, Ethiopia, Mexico, Malawi, Nepal, Philippines, Senegal, South Africa, and Tanzania. Wednesday, December 13th was a public session meant to share the Commission’s work with the public and attended by over 100 stakeholders. 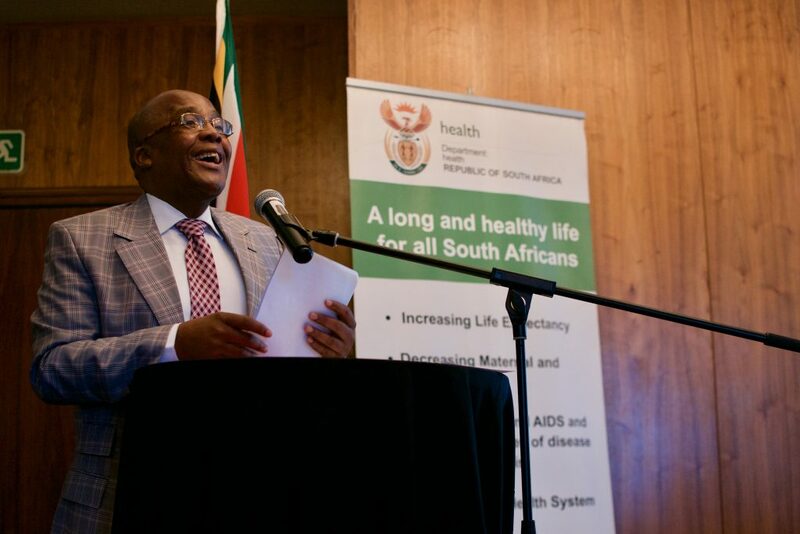 The Honorable Minister of Health of South Africa, Aaron Motsoaledi, opened the meeting by reminding the audience that quality is a non-negotiable commitment of health systems to people. Other speakers included Ms. Gwendoline Ramokgopa, Member of the Executive Committee of Gauteng Province and Commissioner Precious Matsosos, Director General of the Department of Health. Following the presentations, panels on the Quality of Care in South Africa and the HQSS National Commissions presented their work and engaged in discussion with the audience. In the final two days of the meeting, HQSS global Commissioners and research team reviewed the first draft of the Commission’s report. Following the meeting, the research staff will continue to revise the report with the aim of submitting to Lancet Global Health in February 2018. Click through the photos below, and be sure to check out the HQSS Blog in January for reflections on the meeting from the participants. Despite icy temperatures and one of the worst Boston snowfalls of Winter 2017, Commissioners, Advisory Council members, and researchers convened for the inception meeting of the Lancet Global Health HQSS Commission from March 13th to 15th. 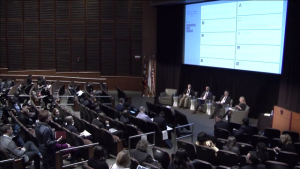 The three-day meeting began with a full-day public event co-hosted by Harvard Global Health Institute and the HQSS Commission. 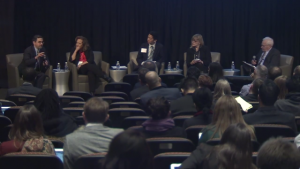 The event challenged speakers, Commissioners, and over 300 in-person and web-based audience members to stir debate and ask new questions on defining and delivering quality in health systems of low and middle income countries. Learn more about the first day here. The second and third days of the inception meeting were restricted to Commissioners and the Advisory Council. Both days focused on setting the agenda for the Commission’s work over the next two years. Commissioners and Advisory Council members outlined and organized Commission efforts into four working groups, Definition and Description, Measurement, Improvement, and Ethics and Equity. Commissioners also discussed plans to establish National Commissions – independent commissions on quality within countries. Several countries will begin establishing national commissions, more information will be posted on our website as National Commissions are finalized. Throughout the two days, Commissioners emphasized several themes: 1. Patients are at the center of quality efforts and are arbiters of quality; 2. Quality measurement must be efficient and focused on what matters most rather than what is easily measured; 3. Equity is integral – health systems must provide quality for all people. Following the meeting, Commissioners and researchers will begin work on analyses and research. Check out our HQSS Blog and new research under Our Work for up-to-date activities of the HQSS Commission. On June 14, the WHO and UNU-WIDER hosted the launch of the WHO Bulletin special theme issue on measuring quality of care. Co-edited by Commission Chair Dr. Margaret Kruk, the issue pulls together new evidence on how to measure and how to improve quality of care from around the world. The launch brought together five authors of the articles to discuss their work on clinical observations of delivery in Uttar Pradesh, infection prevention measures in Kenya, community-based approaches for neonatal survival, indicators for quality of maternal and newborn care, and quality variation in primary care. In addition to the presentations of research, policy makers from Liberia, Indonesia, Mexico and Ethiopia spoke about their experiences with quality of care. One recurring theme throughout the issue and the panel was the need to generate demand for quality within communities. Speakers drew an analogy to the improvement in access to care: access only improved once communities started demanding it. Similarly, the movement for quality must begin with people’s expectations of what care they are entitled to. Expectations for quality of care are low in many areas currently; satisfaction with care is high despite persistent indications of poor quality. Suggestions on how to increase demand were discussed, including engaging communities in facility learning collaboratives, strengthening patient feedback mechanisms, and publishing facility report cards. Click here for the full program schedule. Click here to the open-access special journal issue. Director General Malebona Matsoso (front row centre); South Africa Commission Co-Chairs Professor Lizo Mazwai (left) and Professor Olive Shisana (far right); Head of Provincial Health in the Eastern Cape Dr. Thobile Mbengashe on immediate right of DG Matsoso. SA National Commissioners along back row. The South Africa National HQSS Commission held its first meeting on May 11th and celebrated its formal launch on May 12th, 2017. Following these deliberations, the commission was officially launched on May 12th at an event attended by dozens of key stakeholders, including experts from the private and public sectors as well as professional associations, academia, and labor. Deputy Minister of Health Dr. Joe Phaahla celebrated the occasion of the launch and applauded the commission for its global leadership. 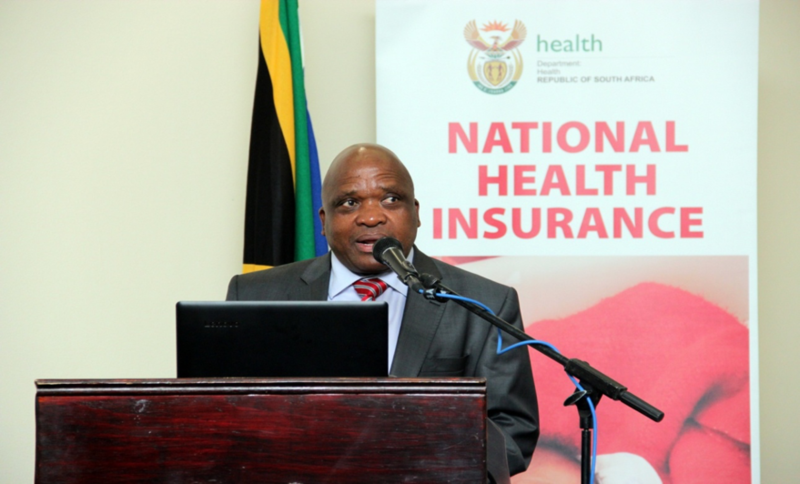 Stakeholders provided important suggestions and insights on how the work of the commission can best inform health care delivery in South Africa. Full details of the first meeting and launch can be found here. Inception meeting of the HQSS Commission – see agenda and video links below! 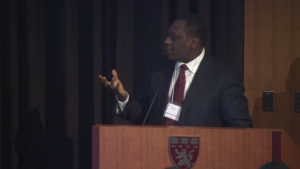 On March 13th, 2017, global leaders in academia, government, community organizations and non-governmental entities convened at Harvard Medical School to kick off the Lancet Global Health HQSS Commission. 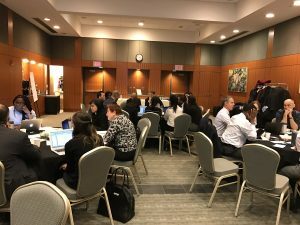 The event, titled “High Quality Health Systems: A Global Agenda”, attracted more than 300 in-person and web-based attendees. Scroll down for webcast links. 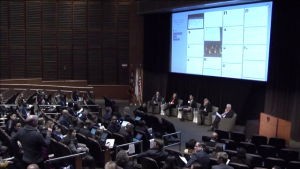 Co-hosted by the Lancet Global Health HQSS Commission and the Harvard Global Health Institute, the event featured two panels and four rapid-fire sessions with leading experts in academia, global health, and government. The meeting began with a short video from people around the world explaining what high quality health care means to them and describing their experiences with health systems. See the video here. 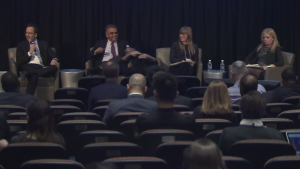 The event highlighted key obstacles facing health systems in defining, measuring, and improving quality, challenging panelists and audience members to rethink basic assumptions about health system quality. 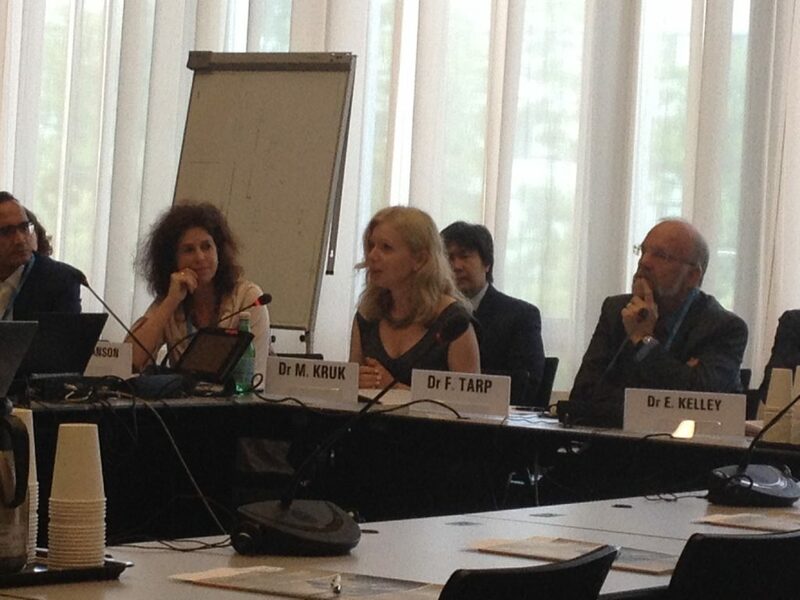 Panelists included both US and global health system experts, patient advocates, and academics. Commission co-chairs, Margaret Kruk, Associate Professor at Harvard Chan School of Public Health and Muhammad Pate, Former Minister of State for Health of Nigeria introduced the HQSS Commission and outlined the Commission’s work over the next two years. “The Commission will attempt to refocus the world’s attention on the process of care and its outcomes, including the value that health care brings to patients.” Kruk said. Pate emphasized the value of the Commission for giving concrete guidance to improve quality in low and middle income countries, particularly in Africa. 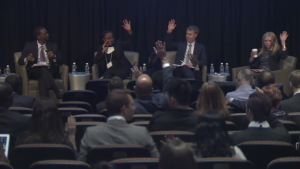 Throughout the day, panelists and audience members highlighted the need for greater focus on patient experience and practical, real-world solutions for measuring and improving health system quality in low and middle income countries. 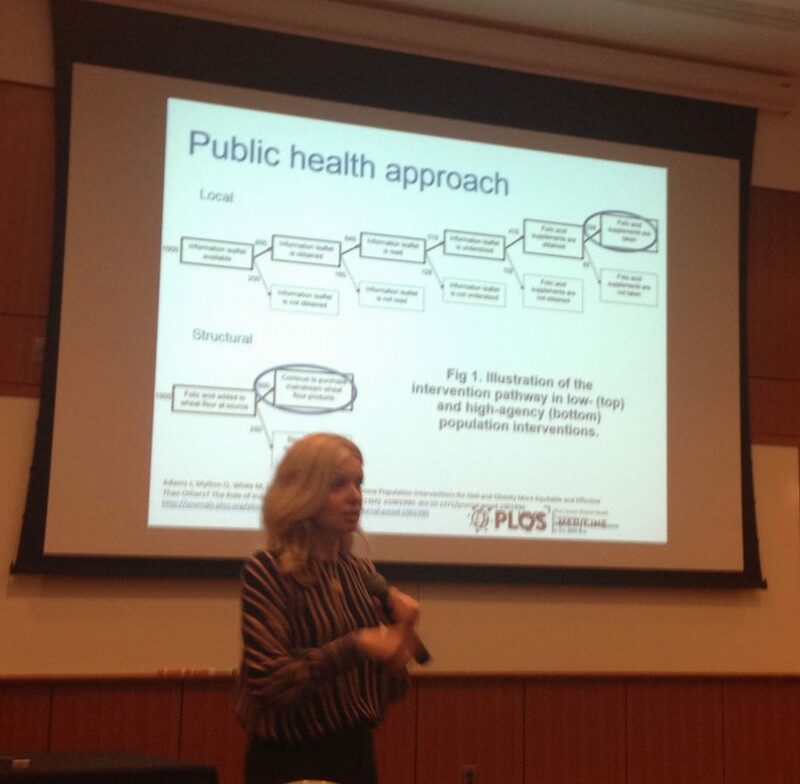 Following this one-day public event, Commissioners and researchers convened for a two-day work meeting. Learn more about the full #HQSSBoston event here. Scroll below for a complete agenda of the day, and select tweets from the event. Click on the session titles or images to watch recordings. SCHEDULE – Click on session titles or images for webcast recordings! 9:00 to 9:45 AM | Introduction and video: What is Quality? The HQSS Commission introduction video asks people from seven countries around the world why quality is important for them, and how quality can be improved in their context. 9:45 to 11:00 AM | Session 1. Why Quality? 11:00 – 12:30 PM | Session 2. 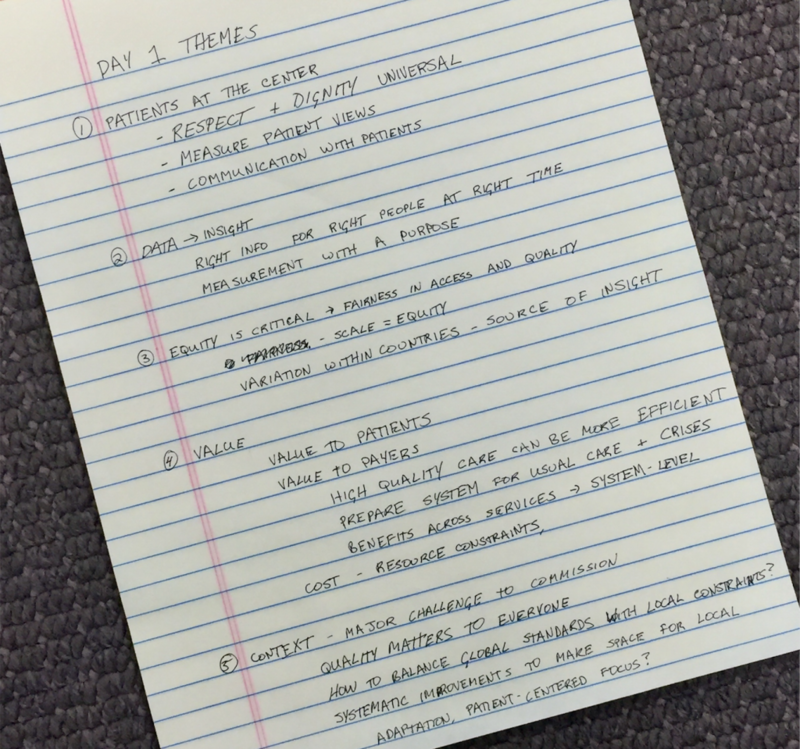 A cross disciplinary look: how do you measure quality? Dr. Margaret Kruk, chair of the HQSS Commission, presenting keynote address at the launch of the Network for Improving Quality of Care for Maternal, Newborn and Child Health. Convened by WHO and UNICEF in collaboration with the Government of Malawi, the launch meeting of the Network for Improving Quality of Care for Maternal, Newborn and Child Health brought together over 350 stakeholders from nine governments, private organizations and academia. The event generated support and a realization of commitments to ending preventable maternal and newborn mortality, as defined under the Every Woman Every Child Global Strategy for women’s, children’s, and adolescents’ health. The Network aims to operationalize a common vision for quality, equity, and dignity in health care for mothers and newborns throughout pregnancy, childbirth, and postnatal periods. By investing in this quality goal, nine committed countries – Bangladesh, Cote d’Ivoire, Ethiopia, Ghana, India, Tanzania, Malawi, Nigeria and Uganda – aim to halve stillbirths and maternal and newborn deaths in participating health facilities over five years. Quality is for people. High quality health care is a basic promise from the health system to its users. Focusing on people means we organize care to maximize health and ensure that people feel heard and respected while receiving care. Quality care is the core mission of health systems. What is the purpose of a hospital or a health facility without quality care? Quality care is not a specialized pursuit for select conditions or select countries. It is fundamental to health systems and the provision of care. Measure quality by what matters. Simply counting inventory is not a sufficient or accurate indicator of quality. Health is a service industry, and it is due time for us to consider customer opinion. It is time to challenge basic assumptions. Quality improvement is not a new enterprise, and we are long overdue for a quality reset. For example, does results-based financing lift the performance of a health system, or temporarily increase the incentivized interventions? New thinking for structural change and service delivery is needed.